Although the United Club at London Heathrow Terminal 2 was designed with US-bound travellers in mind, T2 is home to no less than 25 Star Alliance airlines, and if you're flying business class with any one of them, or have a shiny Star Alliance Gold card, you can choose to visit this lounge instead of the one your airline 'recommends'. 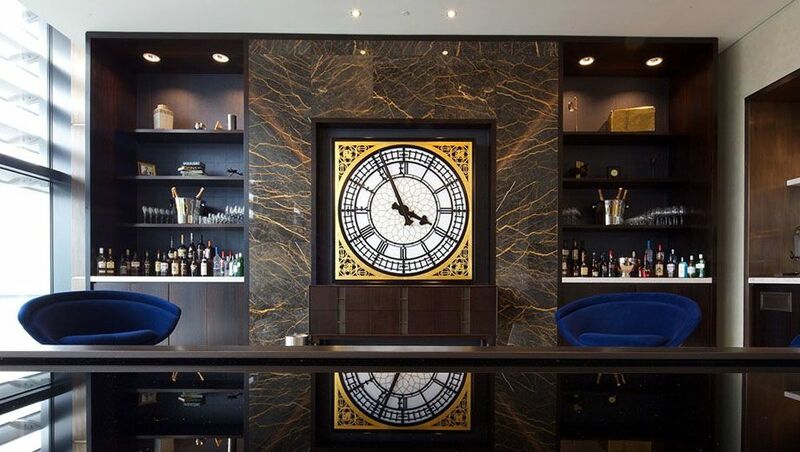 Armed with a full cocktail bar, an extensive range of working spaces for business travellers – including several private office-like rooms – and fast WiFi, Australian Business Traveller puts the London United Club through its paces. After passing through security at Heathrow – where notably, there's no physical passport control for outbound international flights – make your way towards Terminal 2's B pier, which is about 10-15 minutes on foot from the check-in area. The Heathrow United Club opens from 5am until 10pm daily, catering for all Star Alliance flights – although unless your flight is departing from the B pier, it's a long walk here and back! Business class and first class passengers of United and other Star Alliance airlines departing from Heathrow T2, a line-up that currently includes Aegean, Air Canada, Air China, Air India, Air New Zealand, ANA, Asiana Airlines, Austrian, Avianca, Brussels Airlines, Croatia Airlines, EgyptAir, Ethiopian, EVA Air, LOT Polish Airlines, Lufthansa, SAS, Singapore Airlines, Shenzhen Airlines, South African Airways, SWISS, TAP Air Portugal, Thai Airways and Turkish Airlines. United Premier Gold, Platinum, 1K and Global Services members prior to United and Star Alliance flights. Other Star Alliance Gold members, along with United Club and Air Canada Maple Leaf Club (Worldwide) members prior to Star Alliance flights. 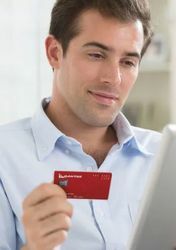 Paying guests who can purchase a one-time entry pass for US$59 (A$81) per person at reception or via the United mobile app ahead of their arrival, and other guests with complimentary one-time United Club passes, as offered with various US credit cards. 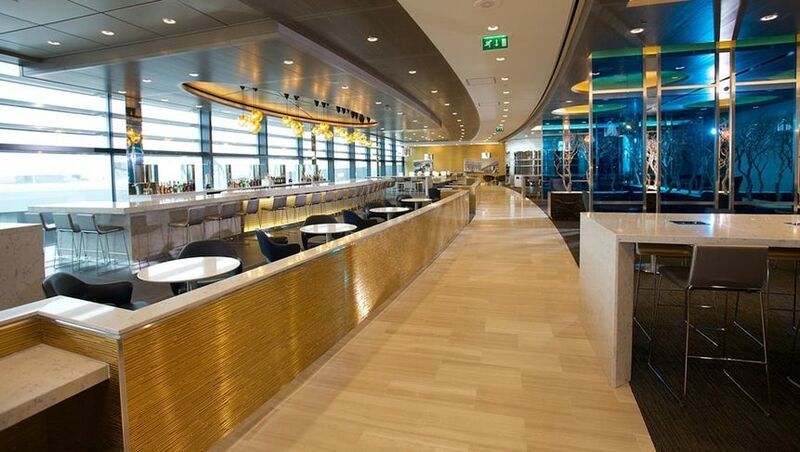 As Terminal 2 is Star Alliance's home at Heathrow, the separate Air Canada, Singapore Airlines and Lufthansa business class lounges here also welcome many of the same passengers. As is increasingly common in international business class lounges, absent here is a 'dish of the day' or anything cooked to order, although that's expected to change for business class passengers when United opens its new Polaris lounge at Heathrow in 2019. The WiFi network here is shared with the United Global First Lounge next door. I measured download speeds of 35-55Mbps, and uploads of 33-71Mbps, which is excellent for an airport lounge. Eight shower suites are available here too, with complimentary toiletries, and a garment pressing/steaming service. All things considered, this is one of the best United Club lounges that the airline has, and is leaps and bounds ahead of any United Club I've previously visited Stateside. It'll be interesting to see how United's London lounges stack up in 2019 when the great Global First Lounge closes down and a new United Polaris Lounge opens up for business class passengers, however. Chris Chamberlin travelled to London as a guest of Star Alliance. Last time I was there earlier this year I set myself up in that circular area down the back and had the entire section to myself for an hour. I'll be back there in Sept next year so hopefully the new polaris lounge is open. Nice review. It's a great lounge and, despite usually flying Aegean ex LHR from the A gates, if I get to the airport early I go to B gates and hang out there and at the Singapore Airlines lounge. Both are excellent. Air Canada is a little dull. The food at UA is excellent and - as you say - far better than most lounges in across their network. HKG also have a decent UA lounge. Chris - Would this be your Star Alliance 'Loung of choice' in T2? I'd say it'd really depend on where I'm flying to, the time of day and which gate I'm going from. For a quick short-haul flight, the Lufthansa lounges right by security are fine, especially if you can get into the Senator Lounge which has a good selection of hot food. If I'm departing from the B pier, I'd probably head to the Air Canada lounge if I wanted a coffee (the only one here with a barista station rather than an automatic machine), the United Club for some serious work, or the Singapore Airlines lounge in the evening as the hot food is a touch more to my taste compared to the other business class lounges (but that's more a personal preference rather than a 'negative' on the other lounges, as such). Of course, the United Global First lounge is fantastic and would be my pick of the bunch if eligible for access, but getting through that door is very tough! I was able to spend the day at Heathrow going from one Star Alliance lounge to the next, so once those reviews have all been published, we'll also put together a lounge guide to highlight why travellers would pick one lounge over the next, given all the options here. Comment on "United Club business class lounge, London Heathrow T2"